Personal Defence Systems Limited is a truly unique company - we are the right size to be more diverse and involved in more fascinating, cutting-edge projects than many people would imagine. Our roles vary from self defence instructors, survival instructors, expedition leaders and researchers. All of the directors and instructors have been involved and have many years of experience in conflict resolution, survival and risk management training prior to incorporating the company. PDSL: Thinking differently about your safety……. In short we aim to train you & equip you in how to defend yourself within the law. 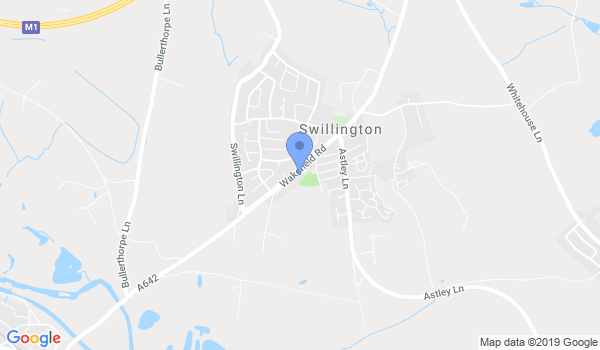 Personal Defence Systems Limited has invested in our own purpose built training centre in Swillington (20 minutes drive from Leeds City Centre). The centre has been equipped with your complete safety in mind with state of the art security systems in place and is an ideally placed secure training location. For your comfort we have totally privacy within the building. Our training room is equipped with all the necessary defensive training equipment required to complete your chosen course/s or class. The centre is monitored by a CCTV system. Personal Defence Systems Limited offers twelve self defence related courses and classes (we use Krav Maga as our main self defence training program), bespoke courses, four outdoor survival training courses & five travel awareness safety courses along with our individual personal protection awareness course. All courses are open to anyone aged from 14 years and offered to individuals or groups & members of the general public. Weekly (day time & evening) classes are also held at the training centre. Our training room is available for private hire on an hourly or daily basis. Personal Defence Systems Limited provides services including: catch a cheat and victim support there are in fact fifteen services available (see the services page) link to this page. Personal Defence Systems Limited also operate four clubs: - fighting fit, survival, defence & lads & dads club (daughter’s welcome to) there are several events each year for each club and monthly meetings are held in order to plan those events. Within our training centre there is a retail shop where up to date personal protective equipment can be purchased or hired (visiting our retail shop is by appointment only). If requested we can obtain almost any personal protective equipment on your behalf. We also have an on line shop and an ebay shop. Crisis Management, Perception Management, Strategic Communications and Political Advocacy, Contingency Planning, Missing Person/s, Proof of Life & Defence and Personal Security Analysis (also see our services page). Would you like more information on hours, classes and programs available at Personal Defence Systems Limited? Please contact the school with your questions. Update the details, Write a Review or Report Error of Personal Defence Systems Limited.